Blurb is a company and a community that believes passionately in the joy of books - reading them, sharing them and selling them. This site makes anyone an author. Have you been wanting to create a book with all the pictures you have stored on your camera, on Facebook or on Instagram? - Ya know all those pics from summer vacation, to days at the beach, or your child's first day of school? Well NOW is the perfect time....Blurb is having the biggest sales ever! 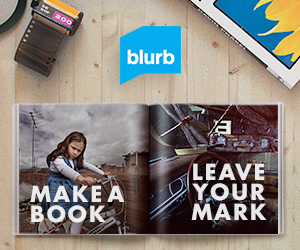 From now until 9/24, you can get 30% off any book you create with promo code FLASH30! Click here to take advantage of this amazing offer.